ChangYou (US) has announced its $600 million developer’s investment program, the CYOU Win Plan, aimed at helping independent mobile game developers release their games with the strengths of a major publishing studio. Via this program, ChangYou (US) will help developers distribute their games, and will support them via marketing and business operation going forward. The CYOU Win Plan is split into three equal $200 million sections. The first is an investment to acquire new mobile games. The second will be invested into mobile game marketing over the next two years. Finally, the last portion is being set aside as revenue sharing for developers over the next three years. 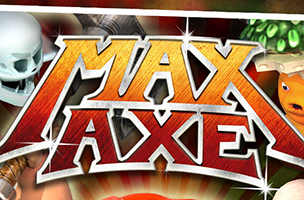 ChangYou (US) is responsible for multiple hit games of its own, including Max Axe, which has been downloaded more than two million times on iOS. The company has also released the GameFuse gameplay portal, offering gamers free-to-play PC games including Totem and Dungeon Viva. Using its own experience and support, the company hopes to help smaller teams find the same growth and success with their own titles.